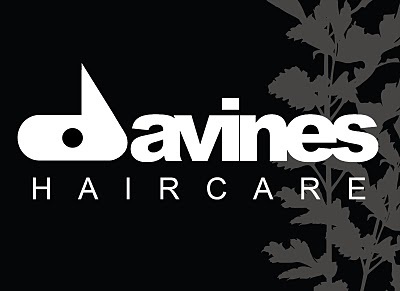 Davines was founded by the Bollati family in 1983 as a research laboratory and producer of professional cosmetic products for hairstyling salons and esthetic centers. Set in a region known for its industrial and cultural traditions and proud of its Italian heritage, recognized by the world for its artistic sensibility in both esthetics and design, Davines supports a strong international inclination, as demonstrated by its cosmopolitan staff, openness and sensitivity to multicultural stimuli, and ongoing development of foreign markets. Today, Davines - thanks to sustained growth and continuity - is an active and established concern that joins the flexibility and speed of a PMI with the outlook and managerial openness of a multinational corporation. After its initial phase, during which Davines produced products for major cosmetic and perfume brands, in the beginning of the ‘90s, the company decided the time had come to create original products under its own name, applying their expertise to developing their own professional hair care and treatment trademarks. Since 1995, in addition to starting its cosmetics division [ comfort zone ] (today amongst the most highly esteemed brands in the sector), Davines has had a succession of launches in the haircare arena: in 1996, the extraordinary Mask Color Conditioning system for haircolor; in 1997, L’Art Decolor for delicate lightening; in 1998, the enhanced Shine System for magnifying the hair’s brilliance and Volume System for creating rich volume; in 1999, Defining System for providing maximum creativity and freedom in styling and finishing; in 2000, Alchemy System to care for and beautify colored hair; in 2001, the Natural Tech line, an innovative system of treatments for scalp and hair problems; in 2002, Bio_o for creative styling in keeping with the benefits of Natural Tech treatments; in 2003, the Extra Virgin skincare line, based on active vegetal principles; all of which allow the professional hairstylist to present a complete range for beauty and wellbeing. The most recent Davines launch, a line targeted to daily haircare, is Davines/Essential Haircare.